It seems the snow will never stop falling! Monday brought face shots down Ozone – one of the most awesome runs of the season for me. I think there were about 137 skiers on the whole mountain. The word spread fast and Tuesday saw about 2500 skier visits! 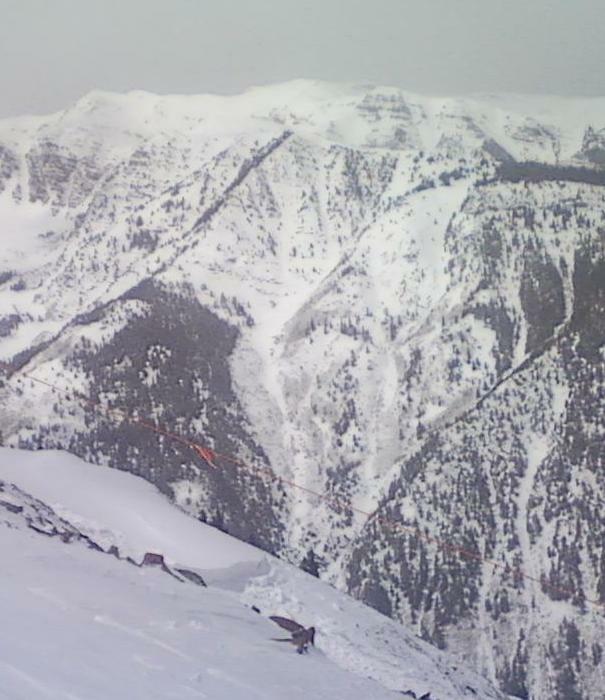 Maroon Bowl (adjacent to Highlands Bowl) slid overnight – photos below. I have never seen such an extensive slide before. The fracture line looked at least 20 feet deep in places and it pretty much slid to dirt. 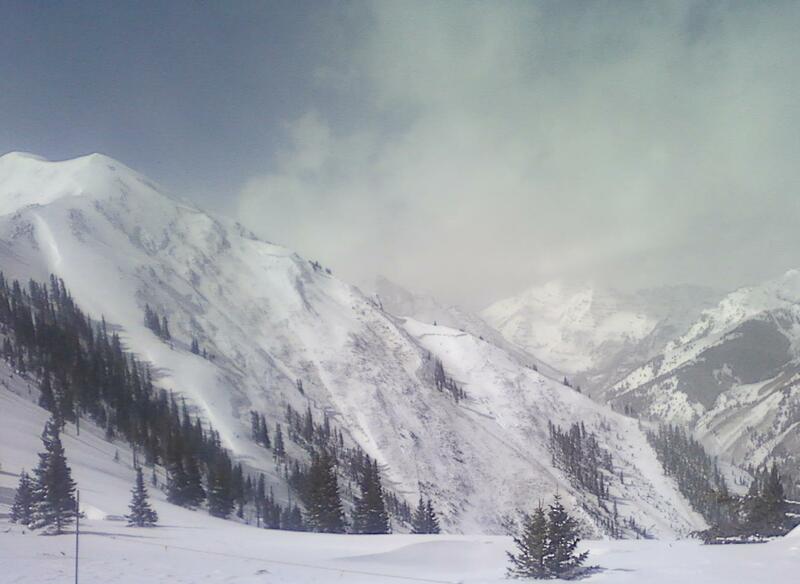 The second picture shows the Maroon Bells in the background. Lots of lovely new fluffy light powder today and again, like Monday, not so many skiers so more untracked lines in Ozone around 2:30pm!!!! 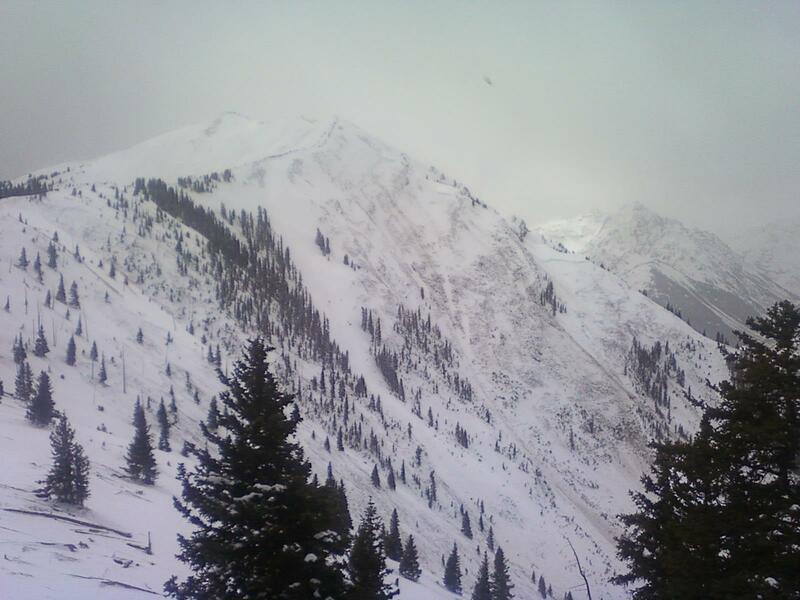 This entry was posted in Uncategorized and tagged aspen, Aspen Highlands, avalanche, bronwyn anglin, Maroon Bells, Maroon Bowl, powder day. Bookmark the permalink.